Lucky Shaan in Reception met his idol’s mum, Judy Murray, last Saturday at his tennis club (David Lloyd All Stars Tennis Club in Great Barr). At the age of 2½ Shaan was one of the youngest in his tennis class to join the Club and took to the sport like a duck to water! Now aged 4, he is doing really well and for the past 6 weeks he has been awarded an outstanding performance badge. 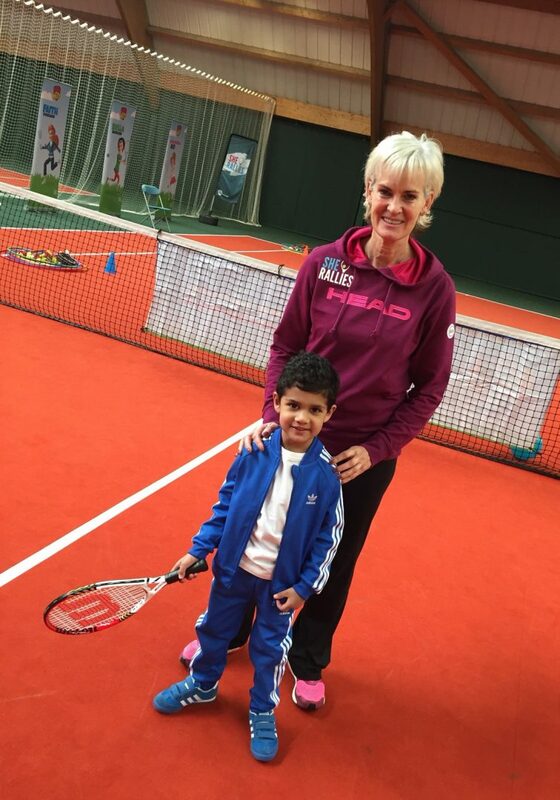 Shaan loved meeting Judy Murray and picked up some valuable advice and techniques. He is now even more determined that he also will be a champion one day!